How cute is this little cake?! Found the recipe in a fantastic book filled with recipes from eras gone by. From 1935, this one will need smaller sandwich tins than you might have, it is worth the investment though, you will make this cake again and again. Smaller than other cakes we normally bake, it will serve six to eight. Grease two 15cm sandwich tins. Add the eggs, orange zest and juice to the butter mixture a little at a time, beating thoroughly between each addition. Sift the flour and baking powder in to a bowl, and then sieve again on to the mixture. Gently combine. Place in the centre of the oven and bake for 20 minutes or until well risen and firm to the touch. Remove from the oven and turn carefully on to a wire rack, leaving to become cold. Sieve the icing sugar then cream together with the butter and orange zest, add in enough juice to soften to a light fluffy mixture. Finally sandwich the cakes together and smooth the remaining icing on to the top of the cake. Sprinkle with grated zest to decorate. Enjoy! Have a go and let us know how you get on – email photos if you have them. Partying to celebrate the Queens Diamond Jubilee? Hire vintage china to make your celebration one to remember. Tea poured from a vintage teapot in to a pretty teacup, finger sandwiches and home baked cakes, scones with jam and clotted cream on vintage cake stands. 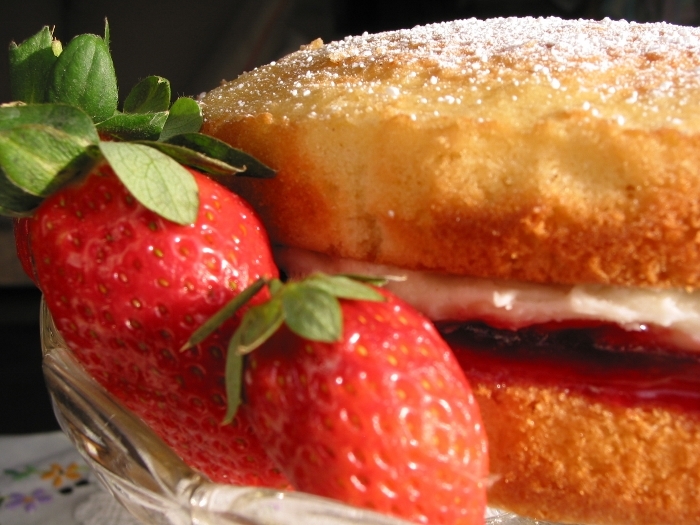 Vintage china and home baked cakes make the perfect addition to the Jubilee celebrations. With six weeks to go at Alice’s Vintage Pantry we have two party packages for you to choose from. 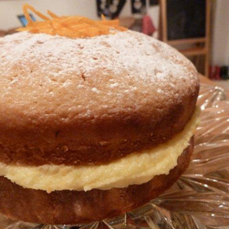 Whether you are a royalist or not, you are probably keen to make the most of the long weekend, if you aren’t planning a celebration why not let us deliver to you a home baked cake to have with tea whilst you relax and enjoy your break. Scones come in all shapes and sizes, a wealth of recipes are available from savoury to sweet, fruit or cherry filled, milk, buttermilk or cream. Then there is the shape – drop scones, triangle, square or the more commonly used round scone. Topped with butter, jam, fresh cream or cream everyone has their favourite scone. 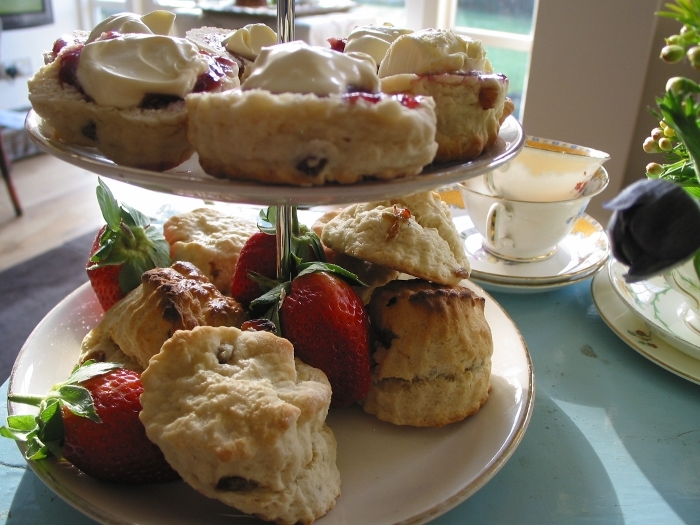 At Alice’s Vintage Pantry we have tried lots of different recipes and make different scones for different occasions. Our most commonly used recipe is one used by 5* Mayfair Hotel Claridge’s. No matter what your favourite type is or what recipe you are using, if you are baking your own follow our scone tips to get your perfect scone. 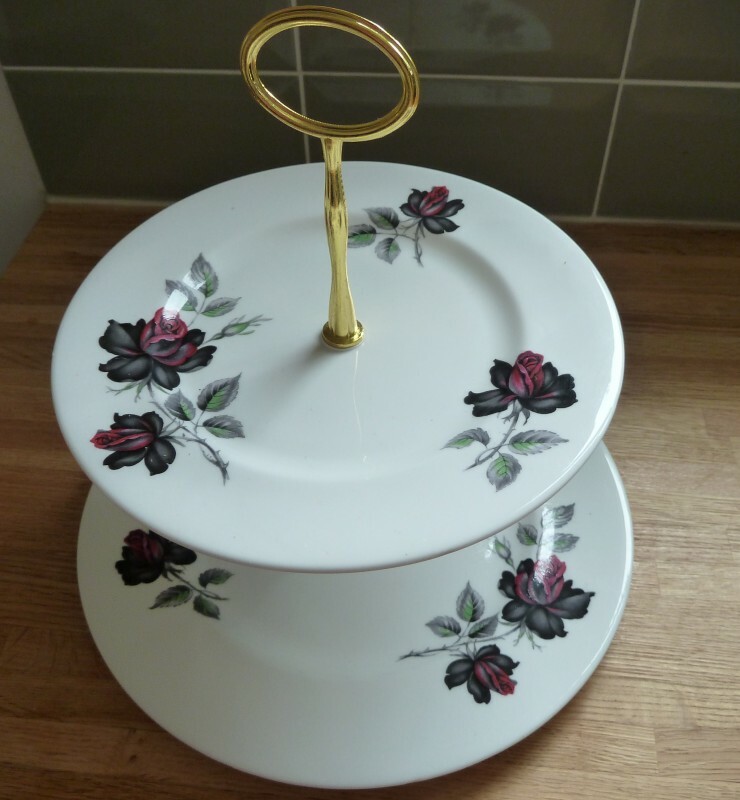 Good quality vintage two-tier cake tands are hard to come by, this one was another great find from Greenwich Market, can’t wait to fill it with cakes, scones and finger sandwiches. 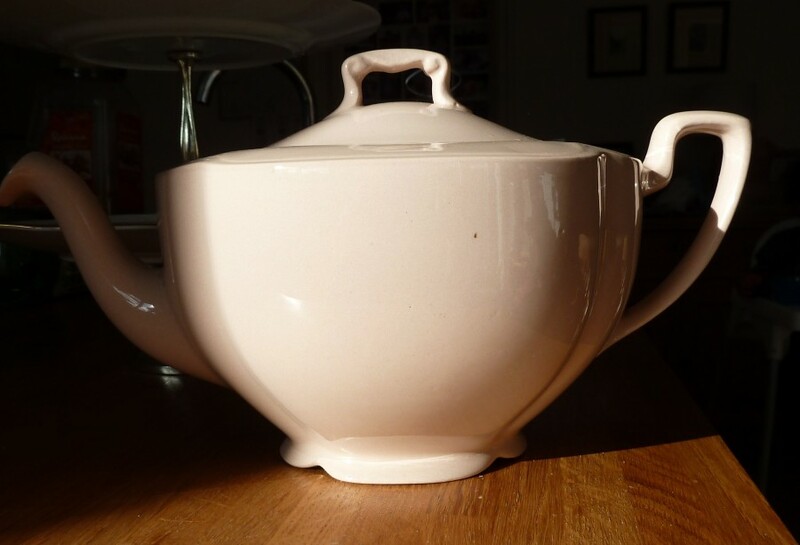 We were very excited when one of our ‘spotters’ found this vintage teapot at Greenwich Market. A Johnson Brothers ‘Rosedawn’ teapot, the design and colour are just perfect for a vintage wedding or sophisticated afternoon tea party.